Many Microsoft Surface RT users are still experiencing sound issues after the latest update, so we have asked around and emailed a few people that own the tablet to get some more answers. 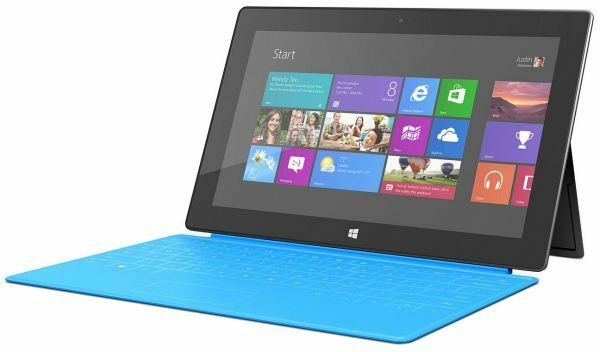 Many users updated their Surface RT with the latest firmware update and yet still experiencing problems, back on May 15th Microsoft forum member dskioldebrand said that he was having sound issues at low volume after the May 2013 firmware update. Dskioldebrand went on to say the speakers are great but when on low volume < =10 it seems the volume gets dropped occasionally, it is like someone is talking into the microphone etc, but the problem does go away when he raises the volume to a higher level. Microsoft knows about the audio issue and came up with a firmware update, and claimed that the audio issue affects some Surface RT tablets, and it has been suggest it has something to do with the NVIDIA Tegra Audio Topology Filter. If the NVIDIA Tegra Audio Topology Filter is removed then this supposedly works, we decided to look more into this. Another Microsoft forum member said that they talked with Microsoft in the UK about the problem, and it seems the NVIDIA Tegra Audio Topology Filter is the issue. The member went on to say there is a temporary fix but it could affect the max volume until a new update is released. The UEFI firmware update does improve the Microsoft Surface RT speaker volume and also helps the system’s stability, if you are still having issues you could use the Jeff Taylor fix: 1. Open the Control panel in the desktop 2. Change the "View" (Top left) from "View by: Category" to "View by: Large Icons" 3. Tap on the "Device Manager" 4. Go down to "Sound, Video and game controllers" and open it 5. Right click (Tap&Hold) on "NVIDIA Tegra Audio Topology Filter" 6. On the Context menu, tap "Properties" 7. In the properties dialog box tap on the "Driver" tab at the top 8. Now click the "Roll Back Driver" button and tap "Restart now" when prompted Apparently this will allow your Surface to restart, the Audio should stop cutting out at low volume. Please remember that the high volume range will be lower due to the previous bug they fixed. Are you still having Microsoft Surface RT sound issues? The fix certainly boosts the volume at the expense of clarity. Now it is very easy to bring the speakers to distortion level. I thought it was fine before the fix. If I needed it to be louder I used an external speaker or headphones, but most of the time it was fine for my use. I did this but now I’d like to undo it. Any suggestions? I have the same problem, but I can’t do the roll back because I’ve updated to Win8.1.